If Nvidia's beastly new Titan X graphics card wows you—and it should—well, hold onto your pants: The company said it's next-gen GPU technology, codenamed Pascal, will offer roughly ten times the performance of the Titan X, at least in compute tasks. 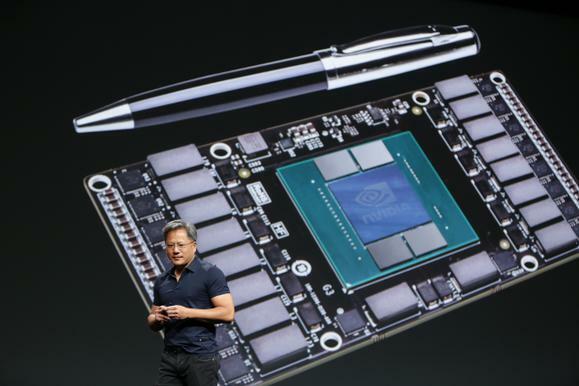 The next-generation GPU from Nvidia would also offer a host of new technologies, including 3D-stacked memory and NVLink, said CEO Jen-Hsun Huang during the GPU Technology Conference's keynote in San Jose. The GPU will essentially be a super computer, Huang said, and Nvidia is shooting for it to be ten times faster than today's Maxwell-based GPUs. Huang also revealed that a Pascal GPU could run up to 32GB of RAM, rather than the maximum of 12GB a Maxwell-based card can use. All-important memory bandwidth—which can choke a GPU's performance if it can't keep up—will be three times that of Maxwell. Since Pascal will feature the company's upcoming NVLink technology, which Nvidia claims outperforms PCI-E by five times, Huang says he expects to be able to run up to eight discrete GPUs in a single machine, rather than today's limit of four. 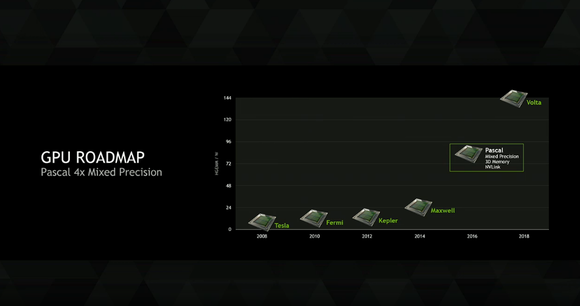 Nvidia originally announced Pascal at last year's GTC. Also back on Nvidia's roadmap is its Volta chip. Volta was originally scheduled to be the follow up to its Maxwell parts but was mysteriously pulled from last year's GTC roadmap, with Pascal put in its place. 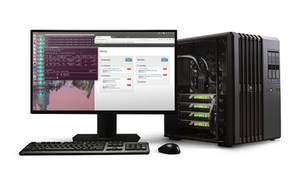 The roadmap Huang showed off showed Pascal availability in 2016, with Volta slated for 2018. No details of Volta were revealed, but that GPU was to use stacked RAM and unified memory. Pascal is now expected to be the first GPU from Nvidia to use stacked RAM chips and NVLink. Besides the roadmap update, the company also announced plans to sell a $15,000 development box called the Digits DevBox, equpped with four GeForce Titan X cards in it. Future Digits DevBoxes could potentially be sold with eight GPUs inside, Huang said. The news of Nvidia selling its own development boxes will surely invoke a groan by its PC OEM partners, who probably enjoy selling pricey hardware to developers. But Nvidia isn't doing this to make a profit, said Huang, despite the $15,000 asking price for the first Digits Devboxs, which are due in May. "It's not meant to be a business, it's meant to help you," he said.